Two short years ago it was an idea; this time next week it will be happening. The stage is set for the inaugural Southwell Music Festival at the August Bank Holiday (22-25 August): the final preparations are taking place and most of the tickets that are for sale have been sold. Now we eagerly await the arrival of the dozens of very talented musicians who will bring the entire enterprise to life and give it meaning. Every programme is full of the most wonderful music and I can’t wait to hear the music making that is in prospect when these great performers get together. I invite you to give our musicians a very warm welcome – and here I thank, in particular, those who are most generously playing host to our players and singers – involving our visitors in the community in a special way and making their stay all the more memorable. Thank you to everyone who has been with us on this journey of preparation – from initial, formative conversations to our launch in the Minster last October and on into the period of detailed preparation in which widespread interest and generous support have given the entire project a most encouraging momentum. If you have not already booked please contact the Box Office (01636 812933): there may be a few seats available, not least for The Creation on Saturday 23rd August. However more than half the events in the programme are free, including the excellent Fringe programme. Full programme details are available here. We also invite you to visit the Southwell Artists’ Open Studios (Saturday 23rd and Sunday 24th): for details of their brilliant event see here. One way or another this will be a Bank Holiday to remember. And talking of souvenirs, don’t leave without picking up a copy of the brilliant 100 page Souvenir Programme Book which will be available from the Cathedral Shop from Wednesday 20th August, and at all Festival events, for £5. Crammed with information about the music, the performers, Southwell and much more, it’s worth every penny. Another reason to buy a copy is that it contains details of seven restaurants, pubs and other hostelries which have attractive special offers for Festival goers on presentation of the Programme Book. We hope you have an outstanding Bank Holiday weekend at the Southwell Music Festival. If you have not already done so, please plan to be in Southwell over the August Bank Holiday weekend. More than 60 of the best young professional classical musicians are preparing to converge on the town from across the UK to take part in the first Southwell Music Festival. The visiting musicians are joining several local performers and Southwell’s distinguished group of visual artists who are holding their sixth biennial Open Studios event. A great weekend’s entertainment is in prospect. More than half the events in the Festival are free and take place throughout the town across the weekend. The Festival’s Fringe programme includes jazz outside The Old Theatre Deli (Friday 22nd, 2pm), local young singers in the Methodist Church (Friday 22nd, 4pm), harpist Roisin Hickey with members of the Nottingham Youth Orchestra in the Walled Garden of the Archbishop’s Palace (Saturday 23rd, 3pm), and an illustrated lecture on Byron in Southwell by the distinguished local Byron expert Geoffrey Bond at the Southwell Library (Saturday 23rd, 4.30pm). On Sunday 24th at 5pm a brass group will perform in Southwell Methodist Church. Free events at Southwell Minster include the Festival Upbeat – a chamber music concert featuring artists appearing in the Festival (Friday 22nd, 12.15pm) and the Bank Holiday Organ Recital given by the Minster’s Assistant Director of Music Simon Hogan (Monday 25th August, 3.30pm). On Saturday 23rd at 10am visiting musicians coach five young local musicians in a Masterclass in The State Chamber. Admission to free events is on a ‘first-come-first-served’ basis. On Sunday, visiting singers and instrumentalists will provide a special musical contribution to the Minster’s regular services – Sung Eucharist at 10.30am and Evensong at 3.30pm. Also on show throughout the town on Saturday 23rd and Sunday 24th (10am to 5pm daily) will be the works of more than a dozen leading local artists who have created the sixth biennial Southwell Artists’ Open Studios. Visitors are invited to follow a simple walking route across the town, stopping off at the studios and homes of the artists. A wide range of visual media will be on display, featuring the work of both local artists and guest artists who live nearby or have an association with the town. Such has been the popularity of the Festival that tickets for the main concerts in the Minster and The State Chamber (formerly the Great Hall) are now in short supply. A few are available for the Festival’s main concert – The Creation in the Minster on Saturday 23rd, and for the late night candle-lit choral concert at 10pm on Friday 22nd August. To encourage young people to enjoy the Festival, 100 Golden Tickets are available to all ticketed performances for £5 or less. They are only available on a first-come-first-served basis from the Cathedral Shop in Southwell on proof of identity to people who are aged 18 or under on the day of the concert. The Festival box office is at the Cathedral Shop (01636 812933) and programme details and availability can be found here. We are very pleased that people are buying tickets in large numbers. There are still seats available for The Creation – but those are going fast; a few for the late night concert on Friday, and we could still take singers (especially tenors!) for the Come and Sing Haydn on Bank Holiday Monday but for the rest of our ticketed events – including the extra concert in the Old Theatre Deli – it’s returns only! In addition to the ticketed performances there are a number of free un-ticketed events happening throughout the Festival; the Festival Upbeat, the Organ Recital and of course the performance resulting from our Come and Sing Haydn. Local young musicians will also be participating in our Fringe events, so keep an eye on our events page for more details. Tickets for Haydn’s The Creation are selling fast and only returns are available for ticketed Great Hall events so an extra concert is being presented by Southwell Music Festival to meet demand for tickets. The Classical Cabaret will take place in the historic theatre above the Old Theatre Deli on Market Place, Southwell at 7.30pm on Friday 22nd August. With some of Britain’s very best young professional musicians in town for the Festival weekend, the wide-ranging programme will feature a vocal quartet performing Elizabethan madrigals – perfect entertainment for a summer evening, and a virtuoso brass quartet playing a variety of baroque ensemble pieces. The price of the ticket includes a delicious buffet supper and, following an extended interval, the audience will be entertained by eight string players performing the magnificent Octet by Felix Mendelssohn. The concert will end at approximately 9.30pm – in good time to move to the Minster for Light out of Darkness – the candle-lit concert of words and choral music beginning at 10.00pm. Tickets for the Classical Cabaret are £20 full price and, for under 18, £15 including supper provided to the Old Theatre Deli’s usual high standards. There will also be a full bar service (drinks are not included in the ticket price). We very much regret that there is no wheelchair access to this part of the Old Theatre Deli. at the Cathedral Shop in person or by calling 01636 812933. Please state the number of tickets you require and whether discounts apply; please provide full contact details and indicate whether any of your party have special dietary requirements. Tickets can be paid for by bank transfer online or by sending a cheque. Details of how to pay can be found here. Please note there is no booking form for this event. Public booking opened for our first Southwell Music Festival ten days ago and I am delighted to report a very healthy demand for tickets. Support for the Festival continues to give the organisers great encouragement. We wondered how many people would share our enthusiasm for the Festival idea: now I think we know the answer. Tickets are not now available to adults for the three main concerts in the Great Hall – the Chamber Classics on Friday evening; the piano recital on Saturday lunchtime and the World War One commemoration concert on Sunday evening. However there may be some Golden Tickets available at reduced prices for young people up to the age of 18. Tickets for the Festival’s centrepiece concert – Haydn’s The Creation in the Minster on Saturday evening – are going well with all the front nave seats already taken. There is also healthy demand for tickets to the late night choral concert in the Minster on Friday evening and we already have a good size choir in place to Come and Sing Haydn on Bank Holiday Monday – though more singers are welcome. We are delighted that people have not only supported the Festival by buying tickets but are showing their support by becoming Friends of the Festival too. More than 80 people have done so. Thank you. On the artistic side too I have been thrilled by the enthusiastic response of my professional friends and colleagues when invited to join us for a musical weekend in Nottinghamshire. The enthusiasm of our performers combined with the very generous support of the local community – as ticket buyers, as financial backers, as participants and as volunteer helpers, promise to make the 2014 August Bank Holiday in Southwell a weekend to remember. For programme details and an indication of availability please visit our tickets page. Around 100 people gathered at Southwell Minster on Saturday 29th March to hear Founder and Artistic Director Marcus Farnsworth announce the details of the inaugural Southwell Music Festival. The Festival takes place over the August Bank Holiday (22-25 August) from Friday lunchtime to Monday afternoon. “The Festival is a celebration of classical music, and of the outstanding buildings in which our events will take place – our glorious Norman Minster and the Great Hall which is an ideal chamber music venue. “I am delighted that so many brilliant musical friends and colleagues have generously agreed to take part in our inaugural Festival: they come from leading orchestras and vocal groups cross the country and several have local connections. “This ensemble of around 60 outstanding singers and instrumentalists, and the enthusiastic support of the local community – both financial and practical – will make the Festival very special. “In addition I am very pleased that Southwell’s distinguished community of visual artists are choosing to hold their biennial Open Studios event during the weekend – giving the programme an exciting additional dimension. “As well as bringing the best young professional performers to Southwell we have been very keen to provide a platform for local musicians, and particularly young performers – both in our main programme and also in the small programme of Fringe events around the town. “We have also devised a number of schemes to enable young people to enjoy the programme at affordable prices. “We have packed a lot into the four days of the Festival and believe the event offers exceptional value of money: there are 17 events across the weekend and it would be possible to attend them all for less than £100. That’s a bargain! Marcus Farnsworth, the Festival’s Artistic Director explains his vision for the 2014 Southwell Music Festival in this short film. To view, click here. This footage was taken at our London Launch concert, which was given at the home of Sir Vernon and Lady Ellis. We are most grateful to them for their generous support. We continue to be encouraged by the interest and support which the Festival idea is receiving – so many offers of help and expertise from many different areas. Festivals depend on the support of their friends and so we have devised our own Friends scheme to channel that enthusiasm. We are delighted to publish full details of the Friends of the Southwell Music Festival and we hope many of our readers will wish to join. Our aim has been to create a scheme which gives people a range of valuable and attractive benefits at appropriate prices. There are three principal categories of membership – Gold, Silver and Bronze – each of which provides advance booking opportunities and a chance to meet the artists at an exclusive Friends Reception. In addition two of the categories provide a generous discount on ticket prices. In keeping with our intention to encourage young audiences we have also created a Youth Membership category for people up to the age of 21 – providing access to rehearsals and free tickets on the door, subject to availability. The names of all Friends will be published in the Festival programme book and all friends will receive an exclusive Friends newsletter twice a year. Full details of the scheme and an application form are available by clicking here. 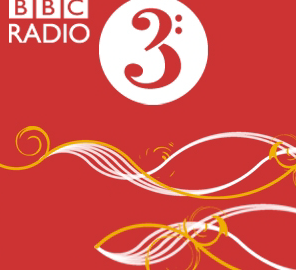 Last night the Southwell Music Festival was featured on BBC Radio 3’s popular drive-time show “In Tune”. The programme included an interview and live music with Festival directors Marcus Farnsworth and Jamie Campbell and pianist James Baillieu. You can hear the interview via the BBC iPlayer for the next seven days. Click here to listen again. The Festival interview begins 1 hour and 24 minutes into the programme and last approximately 30 minutes. This special launch concert will be held on the evening of Tuesday 28th January 2014 at the home of the leading patrons of the arts Sir Vernon and Lady Ellis. The concert programme will include chamber music performed by an ensemble of top young instrumentalists led by the Festival’s Associate Artistic Director – the outstanding violinist Jamie Campbell. The group comprises Ruth Gibson (viola), Nathaniel Boyd (cello) and James Baillieu (piano): all are artists due to take part in the inaugural festival in August 2014. Their programme will include Beethoven’s String Trio in C minor and the Brahms Violin Sonata no. 2 in A major. In addition, festival director Marcus Farnsworth will perform a range of classical and contemporary songs. We are most grateful to Sir Vernon and Lady Ellis for generously making their elegant home available for this special concert. The soirée will be a fitting metropolitan sequel to the highly successful launch event in Southwell Minster in October which was attended by more than 170 people. In addition to the splendid surroundings the occasion will be made even more special by the presence of the Festival’s Founder Patron – the distinguished British soprano Dame Felicity Lott. Tickets including wine and canapés are £25. The evening starts at 7.00 for 7.30 and will be over by 9.45pm. It is expected that there will be a high demand for this event. If you are interested in attending please see the formal invitation card here where you will find booking details.